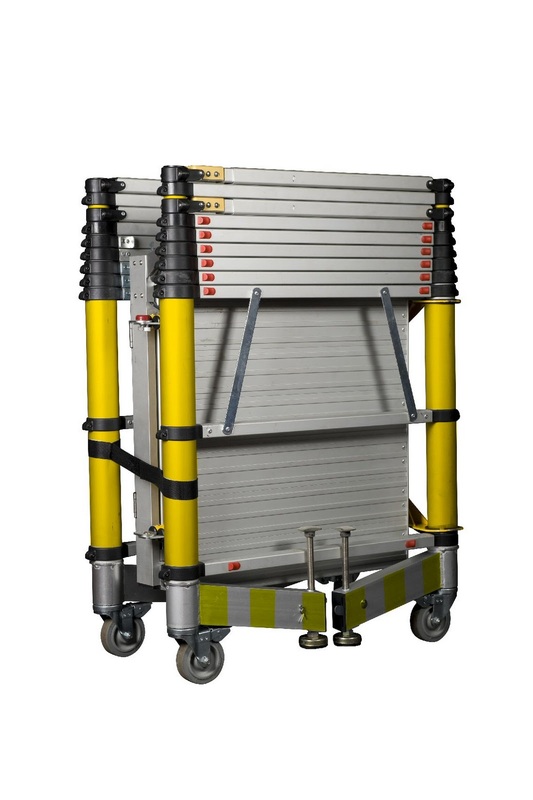 The Teletower is one of the most exciting and innovative products to be developed for the access industry in years! With seven different platform heights - from 0.33 to 2.00 metres - at 25 cm increments - the Teletower offers working heights from 2.30 to 4.00 metres. The flexibility of the design means the Teletower is ideal for a wide range of uses; from maintenance and decorating to gardening and DIY. Available in both aluminium and GRP - non-conductive for use near electrical hazards - the Teletower comprises two parts; the scaffold unit (41 kilos) and folding platform (14 kilos). The entire unit is easily carried in the back of an estate car or van. 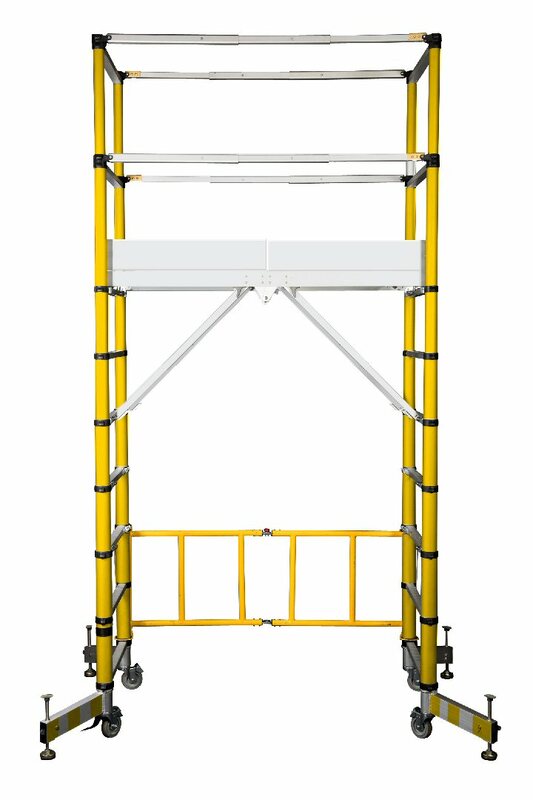 The Teletower will offer Businesses a very safe and efficient option for working at height. For further information visit the ZARGES website and a see a video demonstration or call 01908 641118. Images show Aluminium (upper) and Fibreglass (lower) models in open and closed positions.